I am happy to finally release the blanket I have been working on for several weeks now! If you follow me on Snapchat you have seen me working on it. I made a video showing you all the steps on how to make this Like a Fox Blanket from Yarnspirations.com! You can get your free pattern HERE! Full video tutorial is down below in this post. *Refer to your Free pattern HERE for full instructions. I love how in this photo he looks like a little fox exploring in the grass… It’s just the cutest!! Here is the full video tutorial. The video is quite long at 50 minutes, and it shows you Every.Step.Of.The.Way. I would say this is an experienced beginner project because it utilizes several different stitches, but I show you them all in real time, so have no fear ;). None of the video is sped up, but I do jump ahead if I have already covered something. I will also include the timecode with the steps broken down so that you can jump straight to the spot you need to. Oh my god I love that fox blanket even after looking at the collection! It’s still my favorite oh my god! Rocky Raccoon is a cutie patootie! I love the fox blanket. what mother would not want to wrap her precious baby in that one. I have the urge to create!! thanks for the inspiration!!! I love the fox and would love to win this drawing for my birthday! Am totally loving the fox. Although all are gorgeous. I absolutely love, Love, LOVE, the Fox blanket!!!! You are so awesome, Melanie! So super C-U-T-E!!!! omg the raccoon is so cute! Francis the fox is my favorite! I love foxes, but the are all adorable.! The fox is my favorite….I love the colors and can’t wait to get this project started. Thank you as always Melanie…..you are a true inspiration. The racoon blanket and the deer blanket are my favorites! I love the fox blanket. Can’t wait to make one. Thanks for the chance to win. Ohh decisions…. decisions….decisions I like both the cute little fox and the little bandit raccoon blanket! Do I have to pick there just too adorable! So now I want to make both! They are all so cute! Rocky the Racoon is definitely my favorite. I just want to pick him up and give him a hug! I can’t wait to make my granddaughter her own special little Rocky and put live in every stitch! So I LOVE THE Squirrel and the Fawn. They are beyond adorable! I am trying to get pregnant and I think I will start this now so hopefully by the time the baby gets here (or I, you know, can finally get pregnant) I will have at least one done. We are going to do a nature/forest theme for the nursery so these will be PERFECT!!!! Also, Melanie, you are AWESOME and I am so happy I found your channel on youtube! Just love the raccoon hat and blanket! Thank you for all your awesome YouTube videos making patterns so much easier for me to follow! I love your channel. I think the Lil’ Bandit (raccoon) blanket/hat is the cutest! But this fox is also super cute!!! They are all very cute, but I think my favorite is the fox. That will be so cute for a baby, toddler, or even a ‘big kid’. My daughter would love the fox. This blanket is adorable!! The fox is definitely my favourite followed closely by the Oh Deer Blanket. Too cute! I love all of them, but doty the fawn is super cute I would love to make that one for my new grandbaby ? I love, love, Dotty the Fawn. 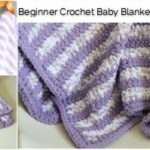 I’ve made your baby blankets for a couple of family I’ll members, and another family member is having a baby this summer, this is perfect timing to try. I’ll have two months before baby shower. Love the Acorn hat and the Fox blanket!! I have two littles, so I guess one for each!! Thank you for all your tutorials, I’ve been teaching myself through videos and yours was the first one! The fox hat and blanket are my favorites ? The foxy blanket was my favorite. I absolutely adore all of the patterns, but the Fox Blanket is definitely my favorite. 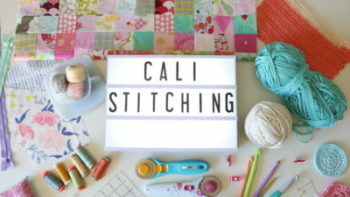 I will be adding this to my list of projects for the spring!! I love them all. Dotty the Fawn may be my favorite though. I love the Lil Bandit Blanket! They’re all cute, but I like the raccoon best! I love love love the “Got You Covered Pants”!! The fawn is beautiful! So cute! I love the fox blanket. I can’t wait to make a couple for my grand babies. Super cute. The fox hat is so cute, my fave!! I love the raccoon set. All are so adorable. Keep up the good work!! Fox blanket. Because colors is amazing and every detail is given. Very easy for beginners and usefull also. I love the Lil’ Bandit blanket, it’s so cute! And the acorn hat is just adorable! I want to make some for all my friends! Agree with you on the Lil Bandit! I like the squirrel blanket. It’s super adorable! I just love the fox crochet blanket since the colours are so vibrant! Dotty the fawn and the deer blanket, they will make a super cute set! The Lil Bandit Blanket is my favorite! Just adorable! The deer one for sure! That fox is super cute as well! The Oh Deer is absolutely gorgeous!!! Oh deer blanket is my favourite. I’m expecting a new niece or nephew any time soon and this would be perfect to keep baby all snuggled up. I’ve never knitted anything baby wise as I can’t have children on my own. So I try to be a great auntie to my brothers growing brood. I wish I had that fox blanket pattern a few months ago! It is soooo much cuter than the one someone had me make! Dotty the Fawn is my fav stuffie of the bunch. The racoons are SUPER adorable! You don’t see many patterns for racoon-type things…people normally associate them with garbage and rabies! They are all so cute! I like the Squirreled Away Blanket best. With that texture, it looks so cozy! Thank you for the free patterns! I love the “Oh Deer” blanket, it’s so adorable. Oh wow they are all super cute, but I think Dotty the Fawn may be the cutest. However Ms. Nutterson is a close second! Love them all!! But I really like Ms. Nutterson, she’s super cute. Dotty the Fawn is my favorite. So glad you are doing this, I learn so much better with the videos! The fox is so cute. I like the “Oh deer” blanket too. My favorite is the oh deer blanket!! Excited to try this!! Love the Oh Deer blanket!!! My favorite is the “Oh Deer” Blanket. I’m loving the fox. Definitely want to make the blanket. ? Thanks for the great tutorial! I loved the squirrel! Too cute! My favorite is the “Little Bandit Blanket.” Can’t wait to make it for my son. I have been looking for a fox to crochet for two month and I have finally found him………..Francis the Fox is my favorite and I absolutely love him!! I love Mrs. Nutterson. It would be a fun project and works with the pattern and theme for my daughter’s nursery. I like the little fawn and racoon but I really wish I could find a pattern for a cougar cub. I really like the raccoon but I think the fox is my favorite, it really stands out more. Dotty is so adorable!!!!! But I must say that raccoon hat is cute! All so cute! I like Dotty the Fawn and Rocky Raccoon. The name “Dotty” alone is adorable! Dotty the Fawn is a favorite! My favorite is Ms. Nutterson, super cute!! I love rocky raccoon! This looks like an awesome project!! Do you think this is would work for an eight year old? Would I have to make it longer? Dotty the Fawn and Francis the Fox are so cute. The fox is my fave, followed closely by the racoon. Cute stuff. The dear blanket is the winner for me! I love it! I like the Oh Deer blanket. Your fox blanket is adorable though. I like the like a fox blanket. The funny dungarees are super cute as well. I love the Oh Deer blanket but the Lil Bandit comes in a close second. What a great giveaway!! I like the oh deer blanket and the fox blanket! I like the deer, but love the fox! They all are incredible! I really love the Squirrell blankie! Love it! And I would loooove to try it myself! Blessings!! I like the oh deer and the raccoon. I have two great granddaughters that would love these. I like the “Like a Fox” blanket and Francis the fox, the best but I really like all of them. It is so hard to choose just one! I love them all, but I think the fox blanket is my favorite. I have the perfect “Little Fox” in mind for this cute project! I haven’t made a blanket yet( keeping busy with Amigurimi), so this will be a challenge. Love the oh deer, would be great for my daughter’s first child due in August, a little girl, they are all adorable! Francis the fox or the little Bandit blanket! Omigosh,sew adorable!! Thanks for the opportunity to win! , a little girl, would love to make one! All of these are adorable! I like the Like A Fox Blanket or the Fox Hat! I love all of the stuffed animals! The “Oh Dear” is delightful! The Like A Fox Blanket is by far my favorite! 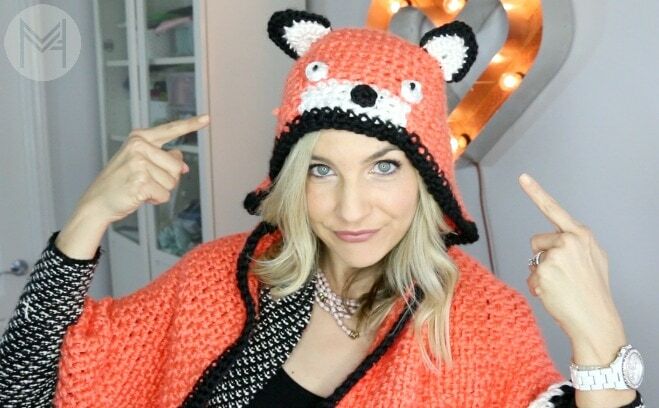 The fox hat is just adorable i would love to make the fox hat!!!! I like the little bandit. That blanket would be perfect for my son, he’s always stealing the food off of my plate but, won’t eat off of his own plate. I love the fox and the raccoon! I love the Oh deer blanket! Love the raccoon hat! My next project for sure! Right after the fox blanket! So glad my friend introduced me to your site! Thank you! I love the racoon hat!! I love the fox hoodie because of its bright colors and just found out my my best friend is having a little fox of her own. Can’t wait to make it for her! The fox blanket and the little bandit one are a tie for me. I like the Oh Deer and the Fox…Super cute! I like oh deer but the fox is adorable as well as lil bandit. Dotty the Fawn is my favorite! It’s so cute! Fox is my favorite! Thanks for sharing this. I want to make it for my nephews. Love them all but the fix is my favorite! I like so many of the animals but Fox Blanket is my favorite! I love each one, but my favorite is the Oh deer blanket. Thank you ,I think you’re amazingly talented! I love Dotty the dawn the most!! Although all of them are super cute!! I love this pattern!! The fox and the bandit are my favorites!! They were all good, but you have to give it up for “the lil’ bandit! !’ He ‘steals’ the show! They are all adorable but I like Lil Bandit Raccoon for my grandson who will be born on May 19. I love them all but my favorite is Ms. Nutterson. I love this little fox hooded blanket! I can’t wait to start making them for Christmas. As a mom of girls and a big family of all girls, the oh baby deer is my favorite! Ms. Nutterson! Both my little girls would love her! I can’t wait to make them one!!! They are all so cute! Their names are great too! My favourite would have to be the fox followed closely by the fawn. Dotty the Fawn is precious! Lil bandit stole my heart! Love* haha sorry for the typing error! I love the fox blanket followed very closely by the racoon blanket. I am going to make this one for my son. I love the acorn and the squirrel!! I hate they are knitting and not crochet patterns! I love your fox blanket!! I love the raccoon. How adorable is the fawn. Thanks for doing videos because I am just learning to read patterns. The fox is the cutest. Love the colors. Thanks for doing this. Mrs Nutterson and the acorn hat are amazingly cute! The lil bandit blanket is really cute. The little bandit blanket is super cute. They are all just too cute!!! Love the fox and the acorn hat…. yes I said it… the acorn hat!!!! The fox is definitely cute, but, I like the color combo of pink as well. Really going to try and attack this project, lol!! Wish me luck!! The little fox is adorable! Little bandit is so cute! I love your tutorials. You helped me make my first quilt! Thank you so much! Just so sweet. Thank you for your new projects and for starting my creative engines again. Just finished my second baby blanket (one blue, one pink since my son and daughter in law are waiting to find out.) You told “me” I could do it, and I DID!!! The oh deer blanket is my favorite! It’s totally adorable! I just love it to pieces!! 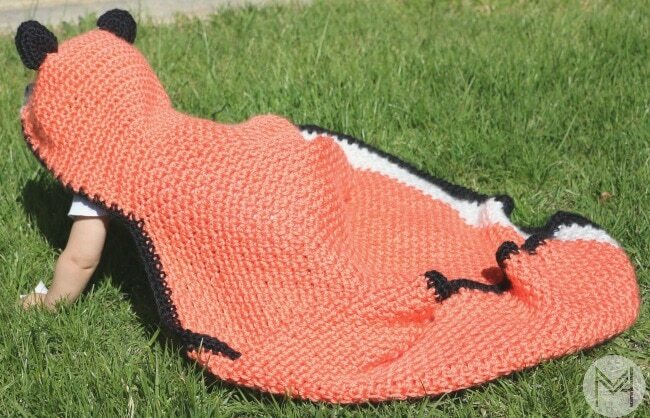 I love the ‘Like a Fox’ blanket. It’s so adorable and what a great color. Fox, deer, raccoon these are a few of my favorite things! They are all so stinking cute! Can’t wait to try these out! I love the Lil’ Bandit blanket! So cute. I like the Lil’ Bandit! It’s hard to decide between Rocky the Raccoon and Dotty the Fawn! They are all so darn cute!! The fox is cute, but I think the fawn won my heart. Dotty has got to be the cutest! Oh to be able to make her! LOVE THE tutorial! Thanks so much!!! I love the Rocky Raccoon because my hubby & I feed a homeless cat that comes by everyday, we have finally been able to pet her/him. We leave the food out on the porch so anyone who might come by can get some food. One night we looked out and a family of raccoon’s were out there eating! We can’t stand the thought of any animal (or person) goes hungry. Thank you Melanie for all the helpful information. Hi Melainie, I love your videos tutorials they are awesome! 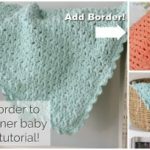 I did my first crochet blanket ( YAY) w/the v pattern baby blanket Tutorial. for my our coming new addition (grandson) . Thank you for the wonderful website ! The fox is so adorable ? I love love love the Lil Bandit crochet blanket! If I won this I would feel like I made out like a bandit! LOL! The fox is definitely my favourite! So adorable! I live the Oh Deer. So cute!!! I love the squirrel blanket and Rocky Raccoon amigurumi doll! I really like the lil bandit ( the raccoon) and the fox!! So sweet! Squirreled away, like a fox, oh dear and Lil bandit blankets are all so cute I can’t make up my mind which one. I would have to do them all for all of my grandkids. Dotty the Fawn is adorbs!!!!! I love the deer and fox! It is a tie between Little Bandit and the Like a fox. Both blankets are cute! I love the fox blanket. Thanks for the tutorial! Can’t wait to make it! ? Cute collection. The fox is my favorite! Love the blanket. ? 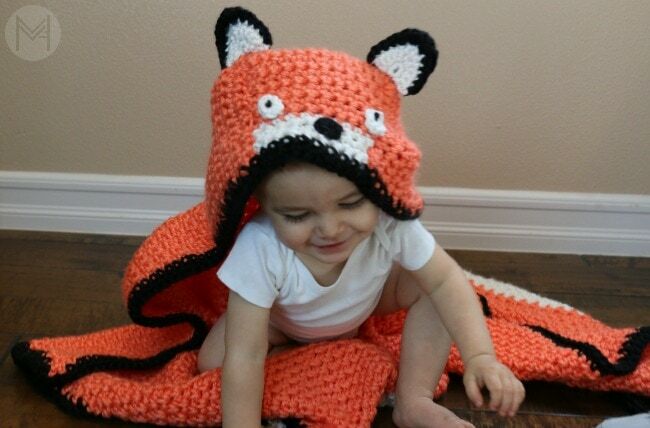 The Like a Fox Blanket is just too cute but I do like that Raccoon Hat :-). Thanks, another great project for my new grandson! Melanie, first of all thanks for the tutorial. You rock! Thanks also to Yarnspiration for the giveaway. I think my favorite character is Dotty the fawn. I’d like to learn how to make her, too! Hope I can try the fox blanket soon. I’m a fan of the Oh Deer blanket!! I have never seen anything like it. But I will be making the fox blanket for whichever of my children has the next grandchild. I love the little bandit blanket. I just was blessed with a new great nephew and it would be so cute for him. Definitely love the fox one….its adorable. I love all the little forest collection. I’m going to try each and every pattern in the collection. Thanks for teaching the tutorials. They help a lot. I have to say, I’m partial to the raccoon! FOX… no, racoon… yes, racoon… ugh! FOX, definitely… they’re all cute! FOX! My favorites are Rocky Raccoon & Francis the Fox. They’re both adorable! The fox or the squirrel!! I love the Oh Deer Blanket and the Speckled Fawn hat. But all of them are all cute! 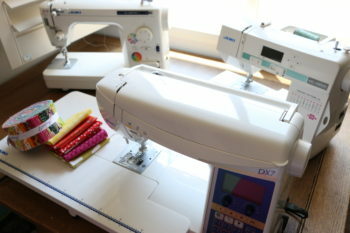 I love learning new patterns from you! Rocky Raccoon is so adorable! My Fav is the fox hat. I like the Oh Deer Blanket. I don’t know what to put in the box website? Really cute I love the fox blanket. I love the Raccoon hat! My favorite animal is the Fox – love the pattern! My favorite is Rocky Raccoon. I love the Oh Deer Blanket and the Speckled Fawn hat. ? The “Oh Deer” blanket is absolutely adorable! Francis the Fox! SO cute!!! Love Francis the Fox! Super cute blanket, Mel! I love all your videos Melanie! I have made two of your colorblock blankets and have started a third! Dotty the Fawn is SO CUTE – she is my favorite critter from that collection on Yarnspirations. Thanks so much for the chance to win all this great yarn to make this cute hooded blanket ourselves! The designs are super cute. I can’t decide which I like more! Rocky raccoon or smarty pants! Thanks for sharing! I love this! You did such a great job on the tutorial as well. I’d have to say my favorite one would have to be the raccoon blanket, although they are all adorable! I love the fox blanket! The squirreled away blanket is adorable!! Like a Fox is my favorite!! Love the squirreled away blanket and the spotted fawn hat! I’m going to have to make it! They’re all adorable!! My favorite, I think, is the “Like a Fox” blanket. It’s colorful and I love the red fox anyway. When I was a kid my favorite movie for a long time was “The Fox & the Hound”. I love the lil’ bandit blanket! They are all pretty cute! I love the oh deer blanket!! I hope they make a crochet pattern for it soon. Might have to learn to knit next! Lol only been crochet for about 8 months and love it! Everyone received a scarf for Christmas last year. I guess I should start working on blankets for this year! ? Thanks Melanie for the video! The deer is super sweet! My favourite for sure 🙂 Thanks for the tutorial! I would never have learned to crochet without you! I never understood the instructions before now, and now that I know I feel that I could tackle even trickier projects 🙂 Stay awesome Melanie! The deer blanket is absolutely darling! Thank you for doing this giveaway! 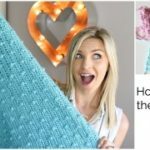 You taught me to crochet and I love your channel!! I LOVE the Raccoon! So cute. Love the fox! Thanks for the pattern, Melanie! Can’t decide between the fox and the racoon. Both are adorable.Would be perfect for my grandson, due in June! I love the fox one! We have a bunch of fox things for my son already so this blanket will be an awesome addition! The Oh Deer blanket! So cute! They are all so cute! But I’m drawn to the raccoon! I LOVE THE FOX ONE! I can’t wait to make one for my son! So adorable! Absolutely LOVE the Fox blanket! I’m diggin’ that raccoon hat 🙂 I might need to try that for myself. It’s either the Fox or Ms Nutterson…both are really cute! We love the Fox character! My son’s nursery is decorated it woodland animals but the Fox is our favorite! These are awesome! My youngest granddaughter’s middle name is “Fox” so I’ve been looking for things with a fox theme for her. I Love your fox pattern I will need to save some pennies and go to the yarn store soon! Ahhh! Tough to pick just one, but since I love squirrels, I’d have to say the Squirreled Away squirrel is my fave! Thanks for doing this giveaway! Oooh, so hard to pick one favorite when the whole collection is adorable! I’d probably have to choose the deer since it would compliment either of my girls’ rooms. I love this one. The fox blanket. 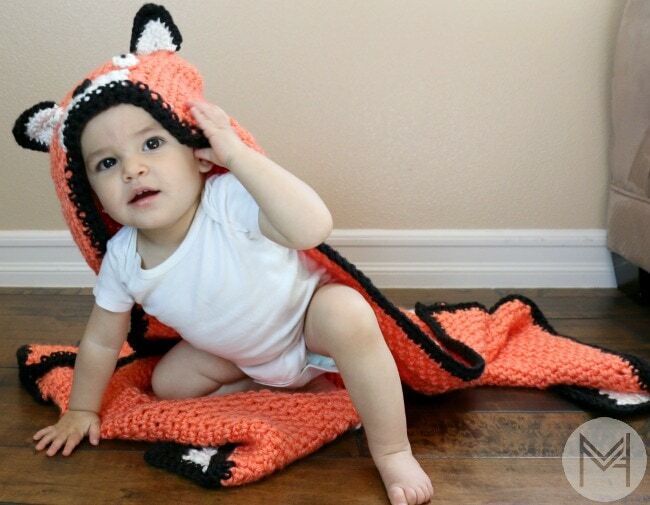 I just had a baby in December and we named him after his grandpa Fox so everything we get him is all foxy it would be awesome to make this for him. Have to say that I love the Lil’ Bandit!! Although I love them all!! I love the Raccoon blanket, my daughter loves raccoons. It’s hard to choose…..for me it’s a toss up between the fox and the deer blanket. So cute!! I absolutely love the Fox amigurumi!!! I did my littles bedroom in camouflage(‘my husband is USAF) and foxes!!! I absolutely love your tutorials!!! Ms. Nutterson is my favorite! What a great name 😀 It reminds me of my grandmother. Her name is Hazel, and we call her Hazelnut, because she IS a nut :p wicked cute collection all around! The spotted Fawn hat! Iove this collection. All so cute! Lil Bandit blanket is a close second to the Fox! There all so cute. I love the lil bandit. I love the Oh Deer blanket and the Acorn hat – too cute! I really love them all, but have to say the squirrel is my fave! My daughter in law is (not EVEN kidding) OBSESSEED with squirrels, so once I have a grandbaby on the way, I will be making that one for sure! It’s between this little guy and the raccoon blanket. Thank you for all the tutorials, I’ve made a few things from your videos. 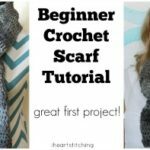 You’ve help make crocheting fun and easy! I love Dotty the Fawn! My 2 year old little girl loves ‘baby’ animals (which means actual baby animals and just small animals lol) especially fawns. I’m loving all of them they are super cute. My favorite is the little fox. I will be making this for my grandson. We are expecting him in August thank you for the video very helpful. My favorite would be the little fox blanket!! I love this blanket and cannot wait to make it!! So cute! Thank you for the video tutorial! !My favorite has to be the oh deer blanket because I have two little girls and they would love it!! These are all so cute! My favorite would have to be the like a fox blanket! I love the colors and it’s so darn cute! Thank you for making this tutorial video, can’t wait to make one! Thanks again for all you do! Oh my word, toss-up between the speckled fawn hat and the oh deer blanket. But they are all so adorable! And what a fantastic video project. Thanks for taking the time to do this! So cute! I love the raccoon set and the Oh Deer Blanket. Both are adorable! This is super cute! 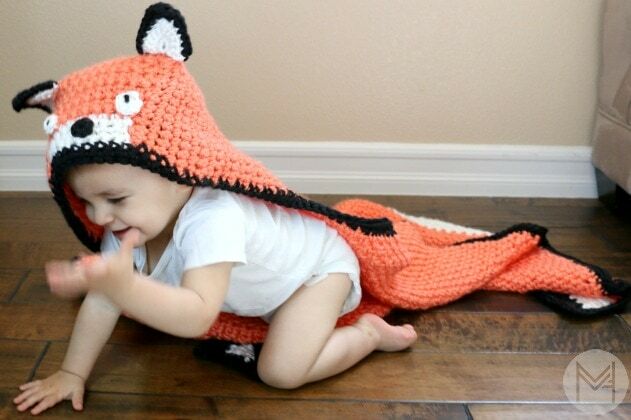 Out of all of them, I am torn between the fox hat and the raccoon hat/blanket like this one! I can’t wait to get the supplies and start this for my kids.